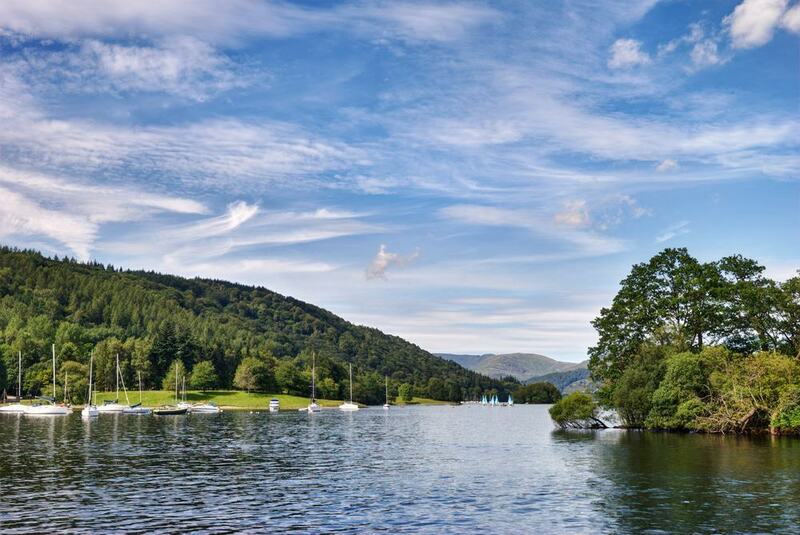 Both the largest natural lake in England and the name of the small town on its east shore, Windermere is a coveted summer holiday escape and arguably one of the most beautiful places in the UK. Tourists began to arrive in the mid-19th century when the Kendal and Windermere Railway opened. One person who was always besotted with Windermere was the children’s author Beatrix Potter, who moved into the mansion near the west shore in 1906 and wove the building into her illustrations. Pack a good pair of walking shoes to fully appreciate the landscape from the Lakeland fells that ring the lakeshore. Windermere the town is in a loose conurbation with Bowness-on-Windermere where you can catch a ferry to the lake’s west shore and embark on a steamboat trip. 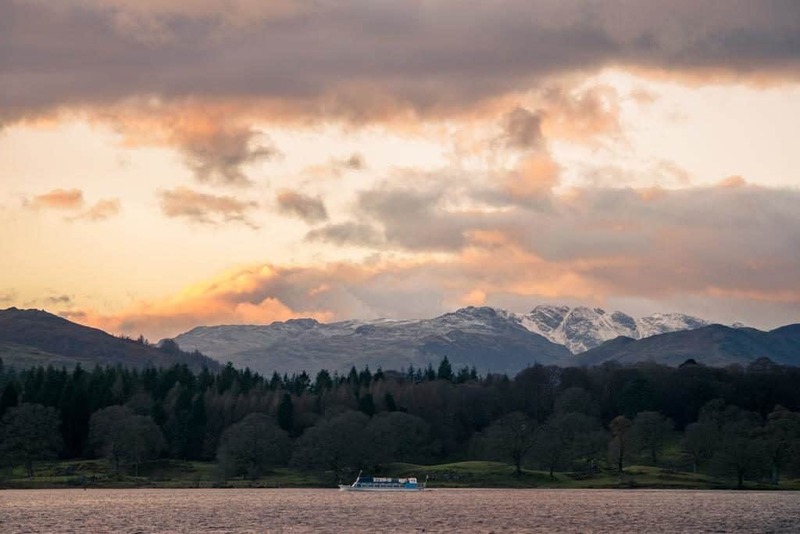 The largest natural lake in England, Windermere was born some 13,000 years ago when water from melting glaciers was held in place by moraine rock that the glaciers had deposited during the Ice Age. The lake is more than ten miles long, and a mile across at its widest point, with a surface flecked with 18 islands. When tourism arrived in Victorian times, entrepreneurs built themselves lavish homes in gardens, down the east shore. Many of these are now posh hotels, while several gardens are open to the public. The scale of Windermere brings in crowds of yachters and paddleboarders in summer. The raw beauty of the fells (hills) around the shore, and the swirling cloudy skies will keep you transfixed on walks. Many of the activities on this list require a pair of walking shoes or getting wet in the lake, but you could spend an unforgettable couple of hours on Windermere without having to move a muscle. 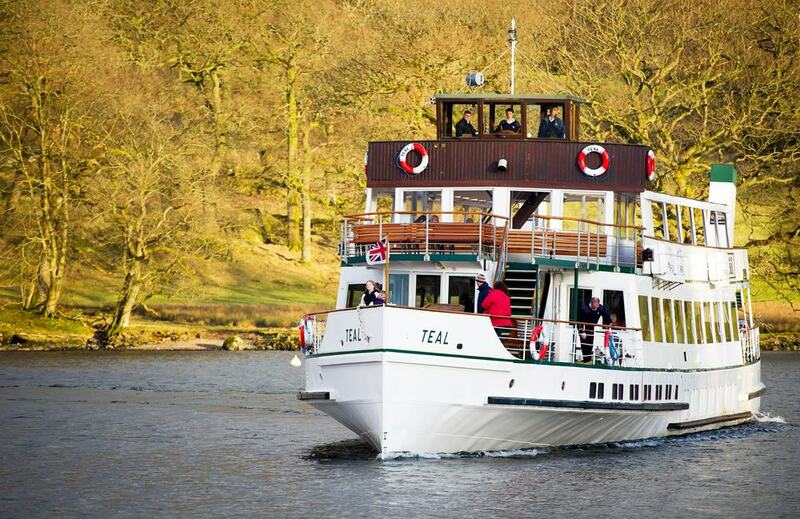 The company Windermere Lake Cruises has a busy timetable of trips on old-fashioned steamers or modern sightseeing vessels. If you just need an introduction to the lake, 45-minute cruises depart the pier at Bowness every half hour in summer. But if you can’t get enough of those mountain vistas and wooded islands, there are longer journeys from Bowness to Lakeside at the lake’s southern shore (90 minutes). 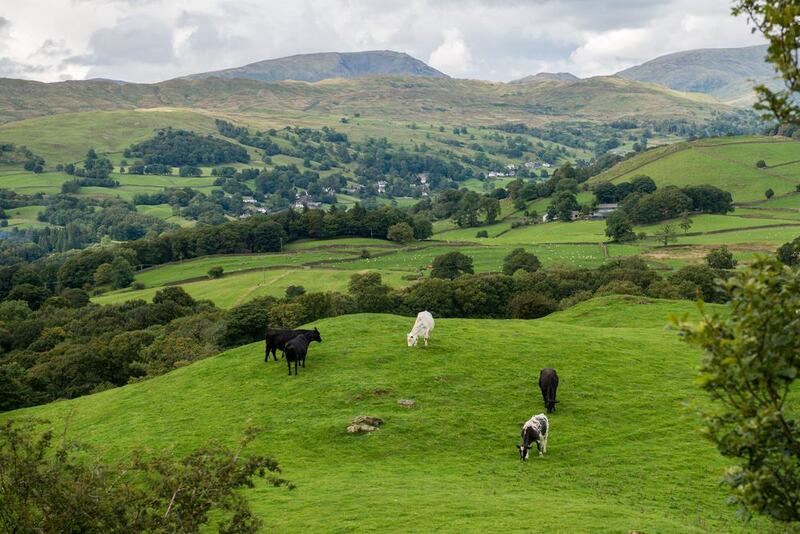 One of the great things about staying in Windermere is that even short circular walks will deliver you to glorious viewpoints with minimal effort. That’s the story at Orrest Head, which requires a short burst of energy on a 20-minute hike to the hilltop where you’re met by an awesome panorama. There’s an orientation table up here, detailing all of the summits and ranges you can see, like the Old Man of Coniston, Fairfield, Great Gable, Scafell Pike and the Langdale Pikes. After leaving this summit, the walk continues on through the bucolic St Catherine’s Wood and High Hay Wood, back to Windermere. The much-loved children’s author and illustrator had close ties with the Lake District, holidaying at Holehird near Windermere, and buying a house at Hill Top on the lake’s west shore. 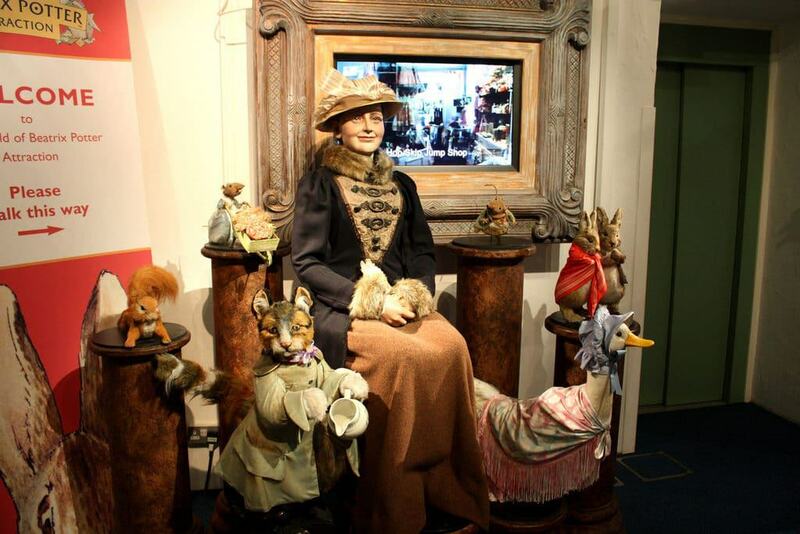 This themed attraction in the middle of Bowness is suffused with the spirit of her books and has all of her beloved characters, like Jemima Puddle-Duck and Peter Rabbit. At the start there’s a brief film introducing Potter’s work and life, and in the seven areas that follow are 3D representations of her characters, using ambient sound, scents and lighting. You can also go on a virtual tour through the places in the Lake District that inspired her, comparing real life places to her illustrations. The Manchester brewing magnate Sir Edward Holt ordered this house as a holiday retreat at a lookout on the edge of Bowness-on-Windermere at the turn of the 20th century. The architect was Baillie Scott, a luminary of the Arts and Crafts movement, and the house has come through the last 120 years with all of its fittings and furniture in place. The level of detail in Scott’s design never ceases to surprise, and shines through in the peculiar window catches, leaf-shaped door handles, stained glass and a wealth of decoration produced by the leading Art and Crafts studios of the day. The fireplaces are especially creative, like the one in the front room, flanked by benches. The garden was designed by Arts and Crafts landscaper Thomas Mawson, on a gorgeous flight of terraces oriented towards the Coniston Fells. A mile north of Windermere the town, Holehird Gardens is a demonstration garden and the seat of the Lakeland Horticultural society. The garden has plants that do well in the Lake District’s stony soils and damp climate, and has Alpine houses, rock and heather gardens and a lovely walled garden noted for its herbaceous borders. Thomas Mawson was also involved here at the end of the 19th century, enlarging the Walled Garden, which had first been built in 1870. There are national collections of plystichum ferns, astilbes and hydrangeas, as well as an array of azaleas and rhododendrons. The view from Holehird Gardens is touted as one of the best in Lakeland. In the 1890s Beatrix Potter was a regular at Holehird House, now used by a healthcare charity. 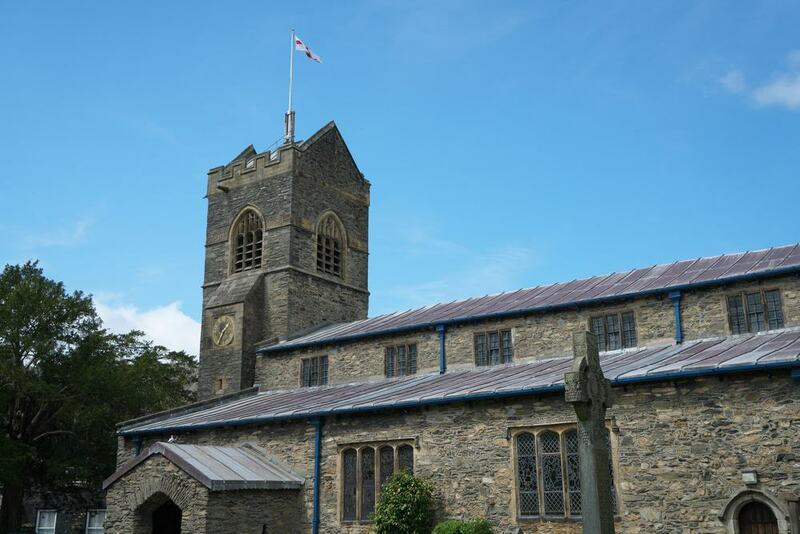 On a sightseeing tour in Bowness you can take a look around this historic church. St Martin’s dates for the most part to the end of the 15th century and was restored in the 1870s. The walls are slate rubble, with sandstone door and window dressings, while interior is notable for its use of plaster. During the restoration painted inscriptions that had been covered up for centuries were rediscovered. On the spandrels between the arches in the nave are texts from a catechetical book published at the end of the 16th century. In front of the lectern you can also read a small poem written to give thanks for the failure of the Gunpowder Plot, written in 1629. 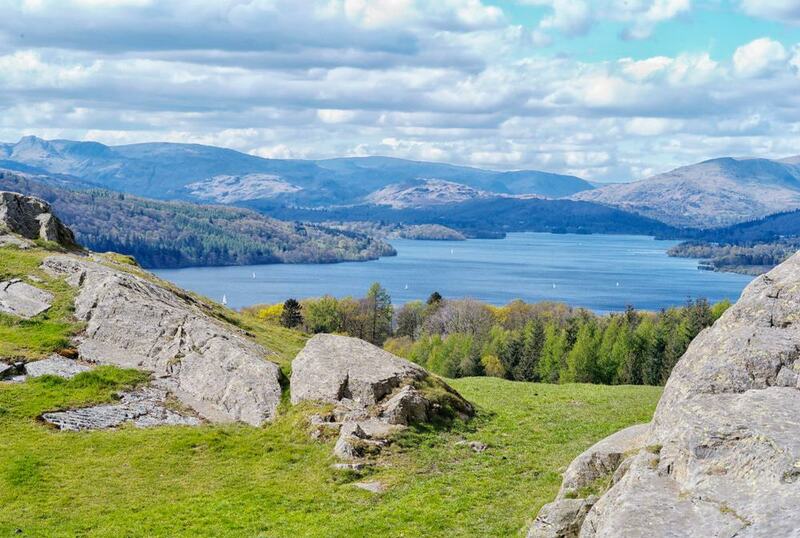 Cresting behind Bowness-on-Windermere, Brant Fell is 192 metres high and has a wonderful prospect of the lake. As the name tells you, this 3.5-mile circular walk leads you away from the busy lakefront in summer. The climb can be quite stiff in places, through woodland and open fields to a bare summit, stopping at a viewpoint at Post Knott along the way. The top of Brant Fell is covered with rocky outcrops, up to three metres high, and you’ll want to pause for photos of this magical setting before heading back down to Bowness. When the weather’s warm you couldn’t pick a better place for water activities than Windermere. With magnificent Lakeland Fells for scenery, you can hire a variety of boats (a 10-mile an hour speed limit applies) and master the art of sailing. You can hire equipment for stand-up paddleboarding, kayaking and canoeing, and try waterskiing and wakeboarding. The Low Wood Bay Resort and Spa, 10 minutes from Windermere village, has its own watersports centre providing all of these experiences. But there’s also a roll-call of companies operating throughout the Lake District, ready to pick you up at your accommodation. 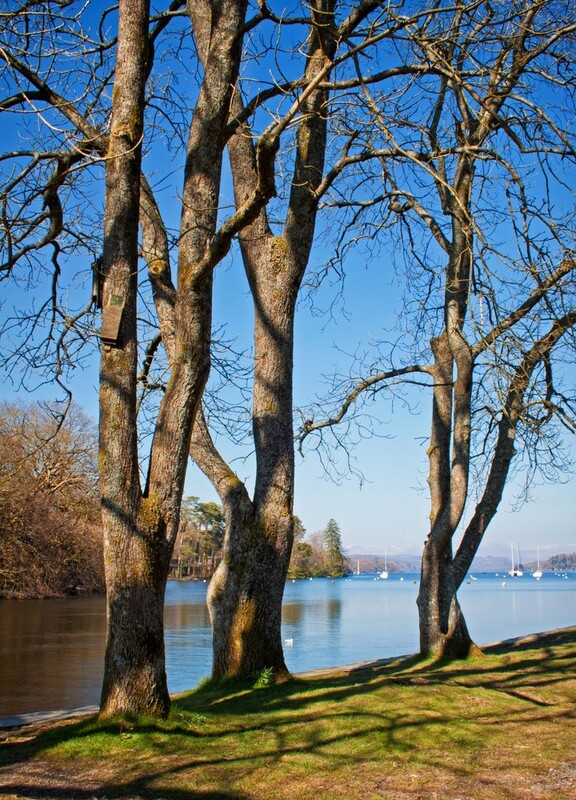 At Bowness-on-Windermere you can catch a ferry across the lake to Far Sawrey on the west shore. From there it’s a simple walk, bike ride or drive to this National Trust Property and former home of Beatrix Potter. 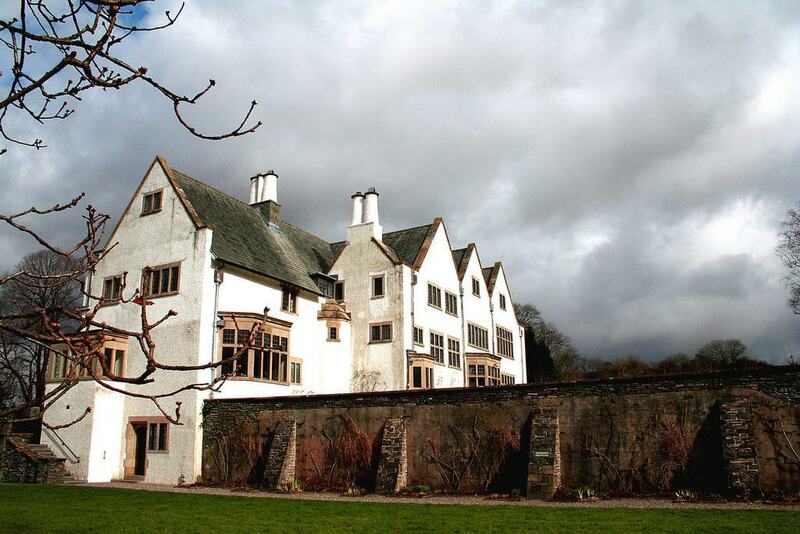 Hill Top dates to the 1600s and was bought as a writing retreat in 1906. The house has been kept as Potter would have remembered it, even reproducing the wallpaper that she put up when she moved in. If you know Potter’s illustrations well, you may recognise the furnishings in the entrance hall, like the 18th-century longcase clock, the 17th-century oak press cupboard, an 18th-century dresser and Chippendale-style chairs, which all featured in her illustrations. 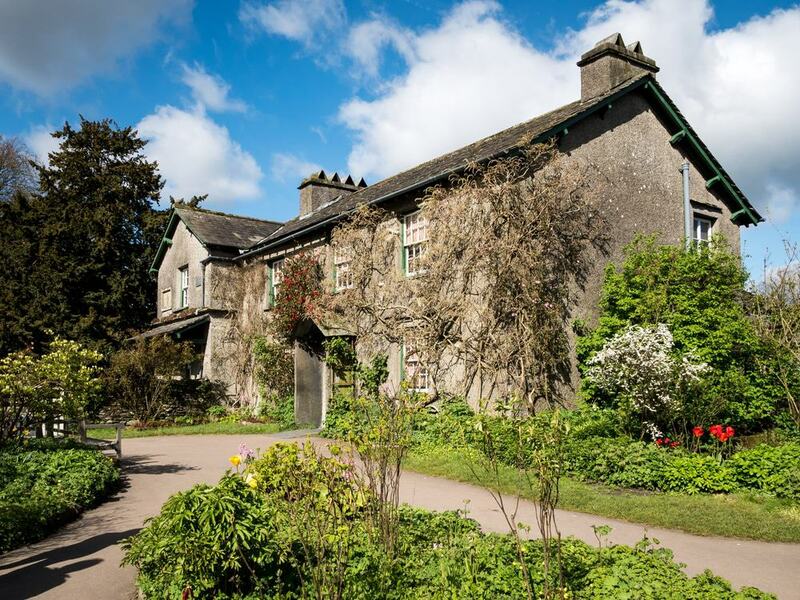 More than 1,400 objects were left to the National Trust by Potter at Hill Top, and you can follow up with a trip to the Beatrix Potter gallery a couple of miles away in Hawkshead. You can use that ferry to spend a few hours ambling through this 2,500-hectare forest between Windermere and Coniston Water. 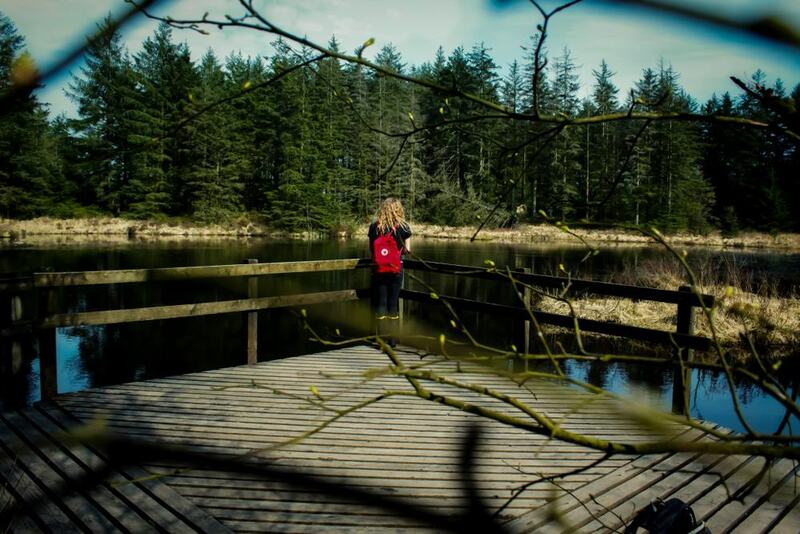 The Grizedale Forest is woven with waymarked footpaths and mountain biking tracks, as well as a sculpture trail with around 90 works made from natural materials like wood and stone. Also in the forest is a ropes course along the main trail, and boasting Tarzan swings, rope bridges and zip-lines for adults and children aged 10 and up. A visitor centre is tucked deep in the forest and has an exhibition space and cafe. While on the west shore of Windermere you can hike up from the ferry terminal to this scenic lookout with an intriguing past. Claife Station was built as a mock ruin at the end of the 18th century, and became a landmark for tourists in the 1830s and 40s. 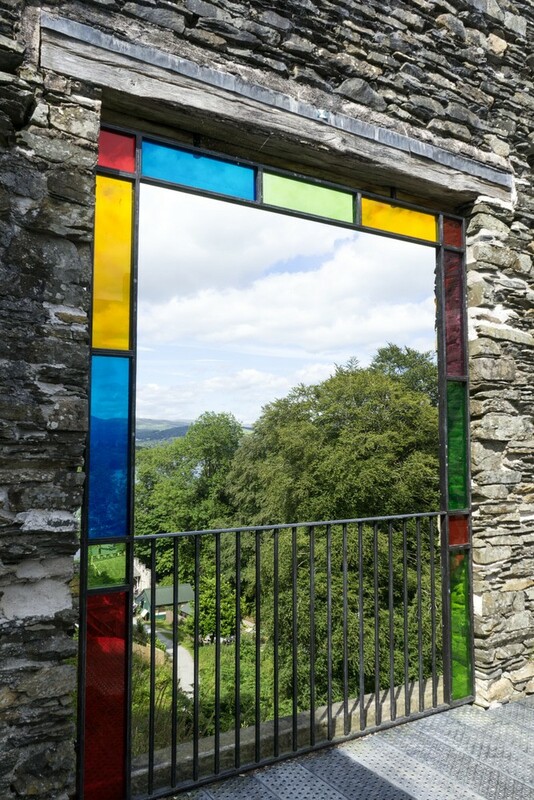 It was cherished for the windows in its “Drawing Room”, which have (newly restored) stained glass in different shades, to allow you to see what Windermere looks like in different seasons and in different lights. Claife Viewing Station is run by the National Trust and has a cafe and picnic area. 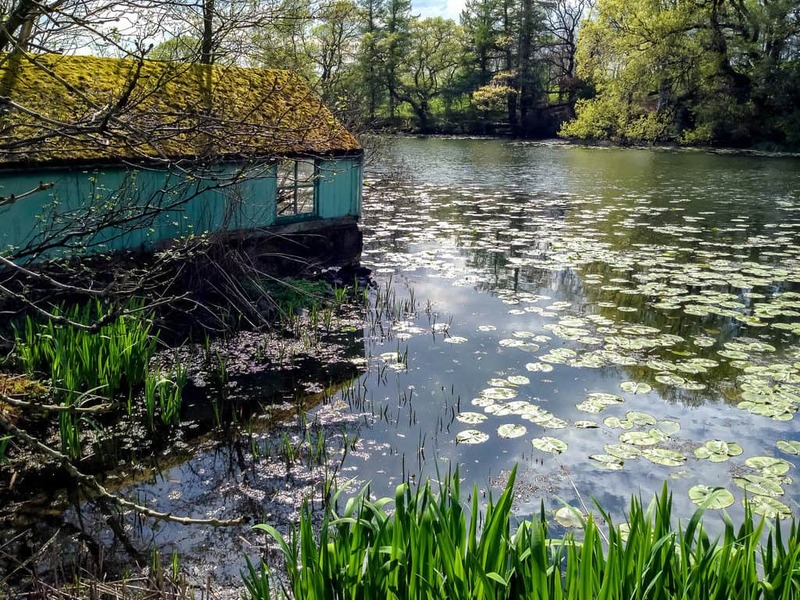 An excursion to the south end of Windermere, Fell Foot Park is a waterfront Victorian garden that used to belong to a mansion that was demolished in 1907. The idea had been to construct a larger house in these seven-hectare grounds, now cloaked with mature pines and oaks, but the owner passed away and the garden was acquired by the National Trust in 1948. Fell Foot Park has beautiful vistas up the length of Windermere, and a few Grade II-listed buildings, like a workshop, manager’s house and a set of boathouses, one of which has been converted into a cafe. You can hire a rowing boat from the cafe or even take a swim from these grassy banks if the weather is warm enough. 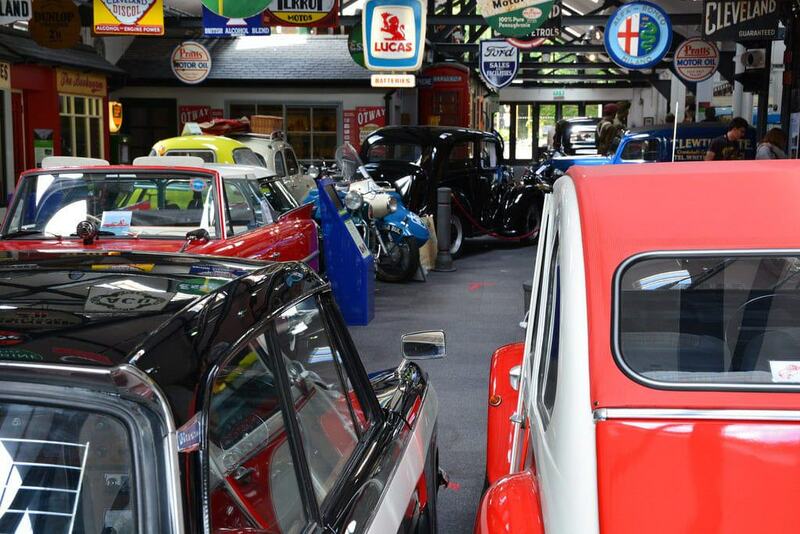 Ten miles south of the village of Windermere, and not far from the southern shore of the lake, the Lakeland Motor Museum has a collection of more than 30,000 objects relating to vehicles, both motorised and human-powered. Some of the noteworthy cars in a fleet of 140 include a Willys MB Jeep from the Second World War, a Star 15.9 from 1913, a Jaguar XK140 and a Bentley 4¼ Litre from 1936. This was owned by Donald Campbell, who held both the world land and water speed records in 1964. It’s one of a host of exhibits relating to both Donald and his father Malcolm, also a record-breaker on land and water. There are full-size replicas of the 1967 jet hydroplane Bluebird K7, a Blue Bird Boat K4 from 1939 and a Blue Bird car from 1935. Hardly five minutes from the top of Windermere is Rydal Water, another hauntingly beautiful lake, partly managed by the National Trust. 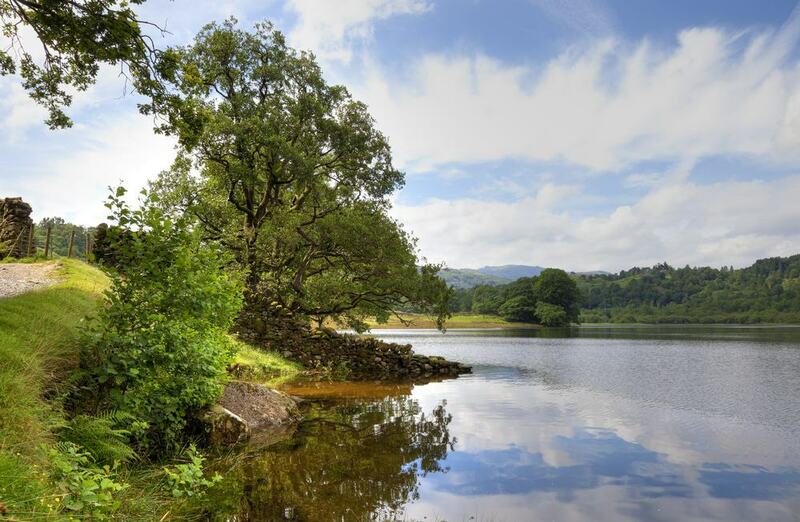 Boating is prohibited to the public, but Rydal Water deserves your attention for its links to the Romantic poet William Wordsworth. His work is treasured for its rather melancholic treatment of the brooding Lakeland scenery. Wordsworth lived in two properties around the lakeshore, at Dove Cottage and then Rydal Mount. Both are open to the public as museums. From the western shore of Rydal Water you can climb steps to the viewpoint at Wordsworth’s Seat, believed to be the poet’s favourite perspective of the lake.